I am Layal Al Ashkar. I am a 20-year old student studying International Relations and Media/Communications at the University of Melbourne. Today is International Women’s Day and I would like to share with you what this means to me, how I will press for progress and what we can all do to make the world a better place to be for women. 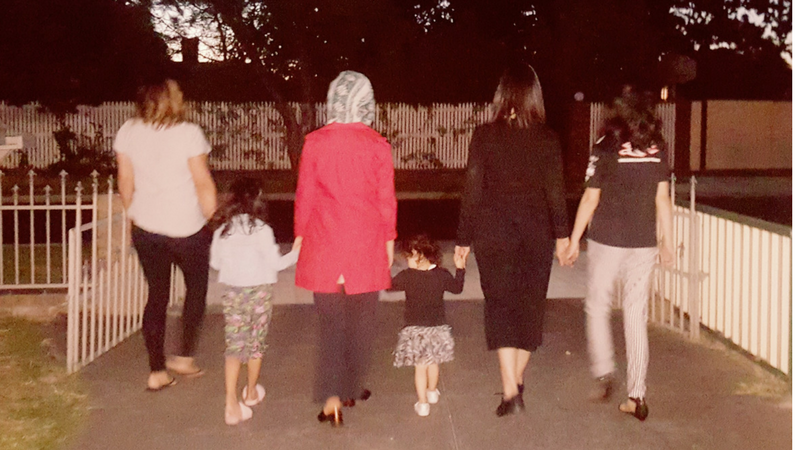 Although I was born and raised in Australia– a place where I believe I am fortunate enough to perhaps experience less vulnerability than other girls and women around the globe- that is not to say that I grew up oblivious to the disparity which continues to exist even in the most cosmopolitan of countries and communities. Neither, does it mean that I grew up blind to the human rights violations and inequalities occurring on a global scale. Being a daughter of Lebanese migrants ensured I was confronted by the inequality endured by women – particularly prevalent in the flawed rights to freedom, education and the minimal or lesser opportunities available. Understanding, and appreciating the opportunities I have is why I am driven to play a crucial role in change- the only constant in our society. International Women’s Day (IWD) means much more to me than a single day to celebrate ‘women’ . It is the depiction and ongoing reminder, of how far we have come in gender inclusivity, yet how far we have yet to go. It is about understanding that sealing the gender gap is over a century away and this task requires global, collective progress. It is about advocating the importance of maintaining a gender parity mindset and empowering young girls. This year, I have decided to focus on celebrating women’s achievements – this is my part in the #PressforProgress theme and here is how I aim to do so! Being able to connect with others who are invested in commemorating and supporting other women is essential. A key, respected role model of mine is Emma Watson who has used her fame to contribute to Women’s Rights and worked with the UN for the HeForShe campaign. I will continue to support her work and that of others like her, by sharing, contributing and acknowledging the time and effort she is investing as an activist, within my influential sphere. With digital technology as advanced as we have ever known, it is now more than ever that we must continue to strategically use social media platforms to share and praise one another’s achievements- particularly in the gender parity agenda. IWD plays a crucial role in reaching and combining the efforts of global governments, women’s organisations, business, and charities across the world. An essential form of giving credit is ensuring that all these divisions are working collectively towards eradicating the gender gap. Collective efforts become historic legacies which can be carried on through generations as proof of success and further inspiration. I vow to contribute in giving credit where it is deserved, regardless of status and gender. This includes acknowledging the hard work of those around me as well as that of all women around the world through sharing success, acknowledging and building upon the past efforts. Every life is as vivid and complex as the other. Individuals have varying ideas of what ‘achievement’ means. The ever-evolving concepts of female roles in society often shape these ideas and I will strive to respect all forms of achievement. Achievement takes effort, skill and courage- values which are implemented in various ways to achieve various outcomes. In believing this, I hope to aid in the instillment of these values in all girls and women. I will strive to achieve this by supporting my family, friends, social sphere and further reaching out to assist young girls through volunteering for programs, including Doxa’s Future Focus and Universities Pathways Programs. A united world is achieved through a united movement. 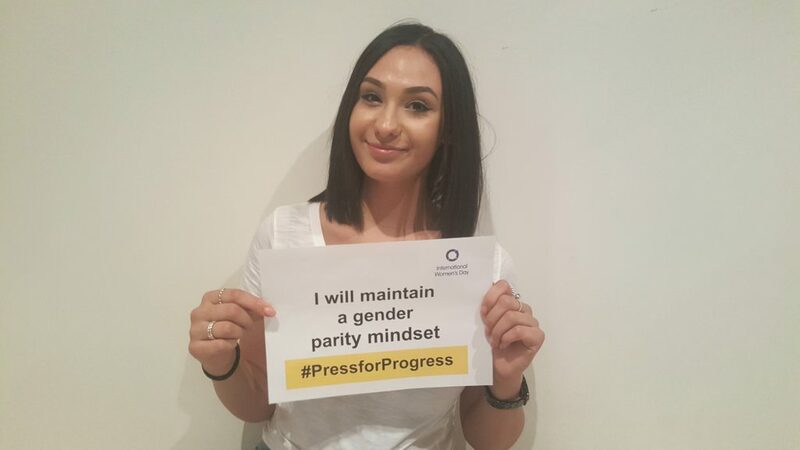 So on the 8th of March and every other day, what will you do to #PressforProgress?